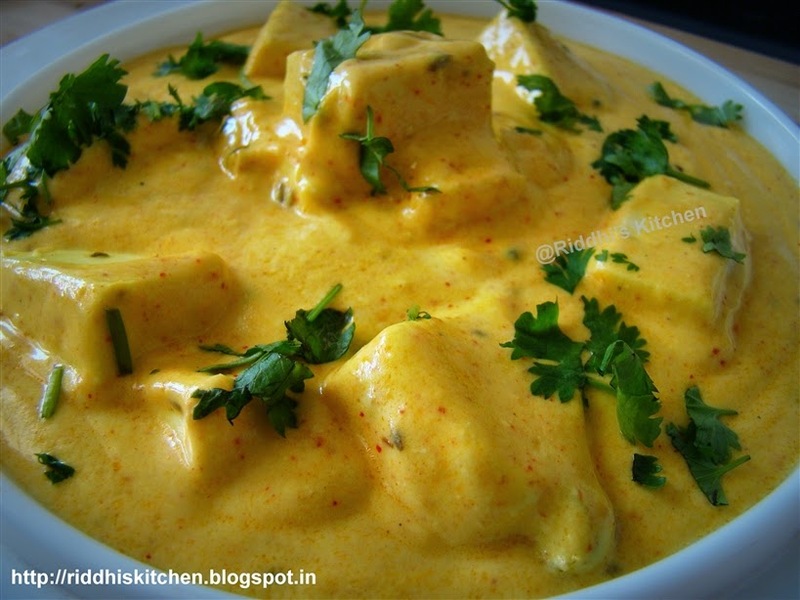 Take one bowl, add curd, salt, gram flour and mix well. Take pan and heat oil, add muster seeds, cumin seeds, carom seeds and mix it. Add Ginger -chilly paste and saute. Add turmeric powder, red chilli powder, add dahi mixture and mix well. Add Required water cook for 1/2 minute. Add Paneer cubes cook for 1 to 2 minute. Garnish with coriander leaves and serve hot .